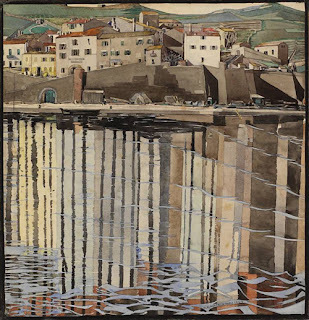 Charles Rennie Mackintosh (1868-1928) was a Glasgow born architect, designer and painter. He and his artist wife Margaret MacDonald were a part of "The Four" that defined the Glasgow Style, a distinctive blend of Scottish, Japanese, English Arts and Crafts and Art Nouveau visual styles. 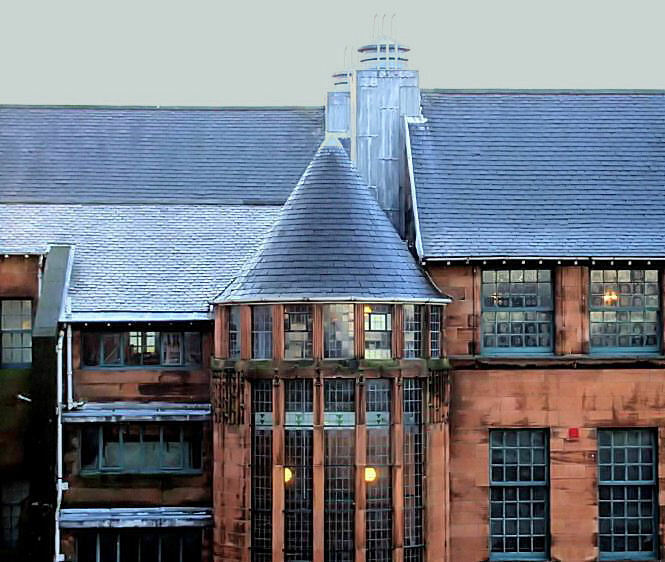 An accomplished architect, Mackintosh felt that architecture should encompass interior design. For his client, Glasgow businesswoman Catherine Cranston Cochrane he created both the exterior facade and interior architecture of her Willow Tearooms. Mackintosh along with his wife designed all of the interior appointments including furniture, light fixtures, cutlery, menus and the waitresses' uniforms. The willow tree was used as the design motif with MacDonald’s flowing style complementing her husband’s more angular work. Towards the end of his life, Mackintosh turned to designing textiles and painting watercolors of botanical studies and landscapes. 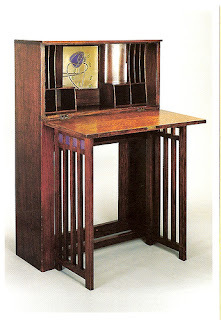 During his lifetime Mackintosh influenced the Viennese Secessionists and today he is remembered as one of the most important architects and designers of the early 20th century.